The results are in and bingo, Yahtzee, the final answer once and for all, our survey says the greatest comedy actor of all time is Jim Carrey – well, alrighty then! Not technically our survey, but a survey which has come up with the result we agree with. The man who filled our childhoods with hilarity thanks to his slapstick energy, perfect timing, natural sarcasm and all round YES! YES! YES! YES! YES! energy in such classics as Ace Ventura: Pet Detective, The Mask and Dumb and Dumber. As a 90s kid, 90s comedy was Jim Carrey. He broke through the ranks of the LA stand up circuit before landing his first big role as Ace Ventura. The man who dreamt big – he would take his beaten up car to Mullholland Drive, look down at Hollywood and project his success, even writing himself a cheque for $10 million for ‘acting services rendered’, post-dated it 10 years and made it come true. Pretty sure him being voted number one in The Top Tens Greatest Comedic Actors poll wouldn’t be such a biggie? 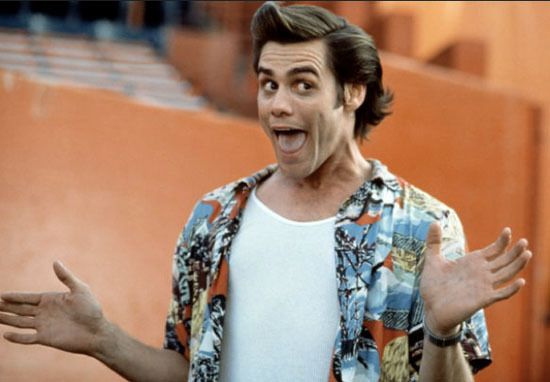 In the space of a year, Ace Ventura: Pet Detective, his first hit #1 released in February 1994, cost $15 million to film and made $107 million worldwide. 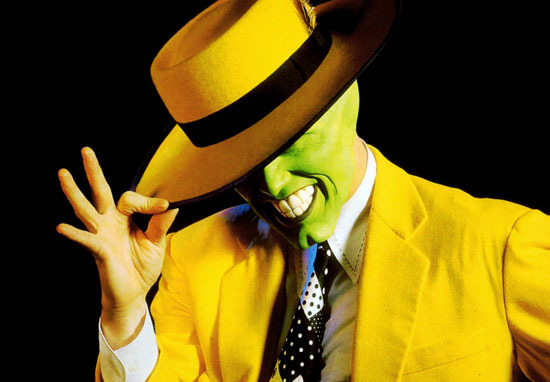 The Mask topped the box office on July 31, competing against The Lion King, Forrest Gump, and Black Beauty. From its $23 million budget it made $351 million and then, mock-ing, bird-ing, Dumb and Dumber, the fifth highest ‘slacker/stoner’ movie of all-time, closed out the year as the number-one film for three straight weeks, banking $247 million on a $17 million budget – less than Jim Carrey’s salary for The Cable Guy alone. Yet art isn’t about the numbers, they just go to show what a draw talents can bring – Carrey packed out cinemas because he connected with audiences – he wanted everyone to feel like everything was going to be okay and he wasn’t afraid to push boundaries to do so. 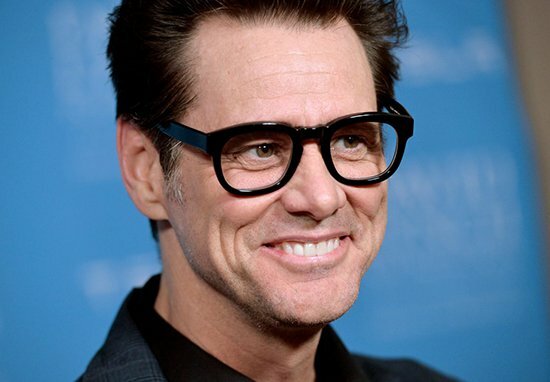 Following his box office tenancy of the mid Nineties, Carrey moved on to deeper work that explored themes central to his life and the world that was beginning to come to terms with being watched by Big Brother in The Truman Show. For 1999’s Man on the Moon, a biopic of comedy legend Andy Kaufman, Carrey went full method for the period of filming, living life as Andy – just watch Jim and Andy: The Great Beyond and not find him the most incredible actor of all time – and Kaufman’s alter ego Tony Clifton, terrorising the movie studio and co-stars in the process. Recently, the world watched as Jim’s personal battle with life, death and existence broke from the personal space to the red carpet after E! News’ Catt Sadler let herself in for one of the strangest interviews of all time at New York Fashion Week – explaining that he was only there because ‘there is no meaning to any of this’. We’re a bunch of ideas cobbled together to look like a form. There’s a body and there’s a mind, but the body is part of the field of consciousness, just dancing for itself and it’s no different than a plant or a chair or your phone—it’s all one thing. Because we are sentient, there’s a consciousness, and we have to deal with this thing we create, like a fortress of ideas around it. So we say, ‘This is my name and this is my heritage and this is my nationality and here’s my hockey team and these are all of the things that I am’. That’s the mistake. Due to the roles he’s played from slapstick shtick of his early days, to heartbreakers like Eternal Sunshine of the Spotless Mind, Jim Carrey is not only the best comedian, he’s a #wokelad.